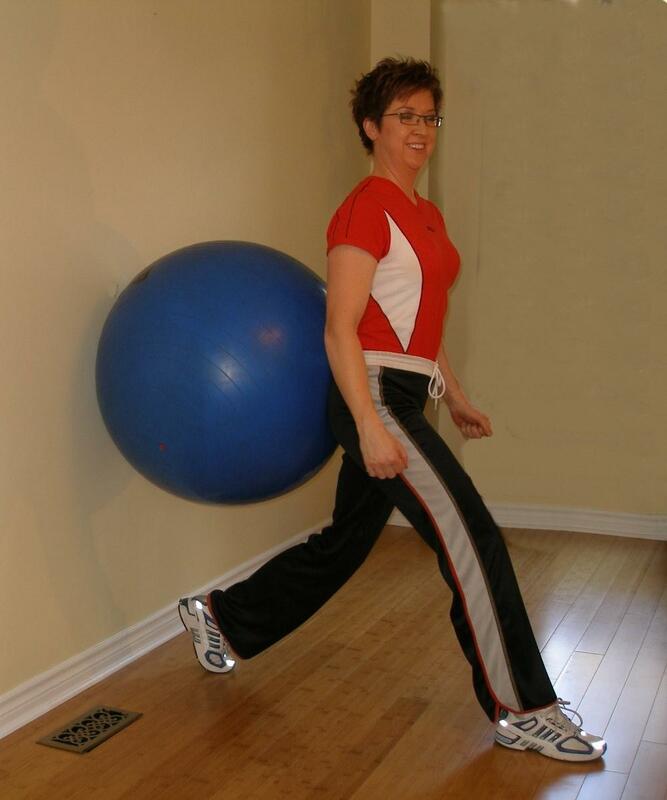 Stand with your back against the ball with the exercise ball at the level of your belt line as pictured below. One foot should be ahead of you, the other behind close to the wall. Lower yourself down until your forward thigh is horizontal. Your forward knee at this point should be over your foot. In order to prevent knee injury it is imperative that you not let your knees extend over your toes. As you descend try and keep your knee centred over the second toe. Don't let them weave in or out.